We’re really not stuck for space, we’re just bad at slicing it up. It turns out, you quite often can (or very nearly). 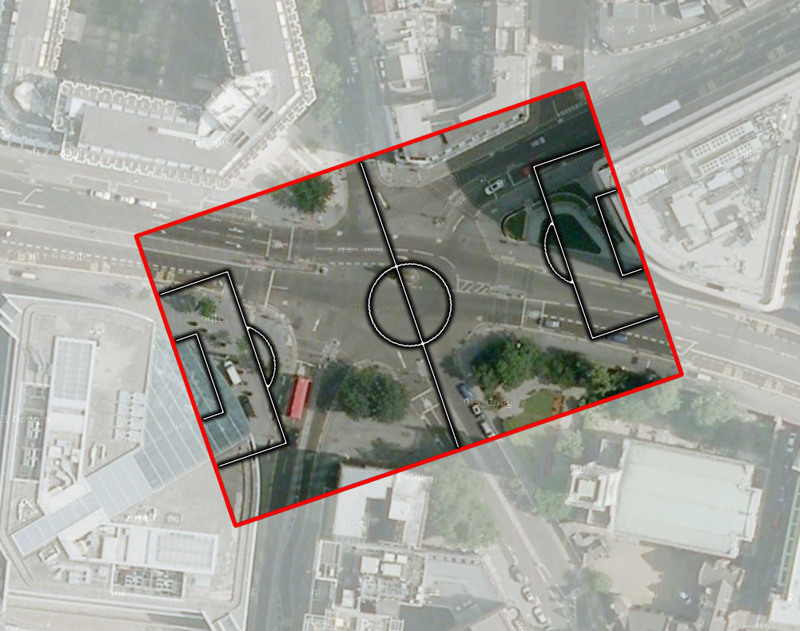 I superimposed an aerial shot of a major football team’s pitch onto various road junctions around the UK to see how much space was really available. Then I made them look nice and uploaded them here for your perusal. If you’re not familiar with the scale here, have a look at these photos to get an idea of just how big this football pitch is. 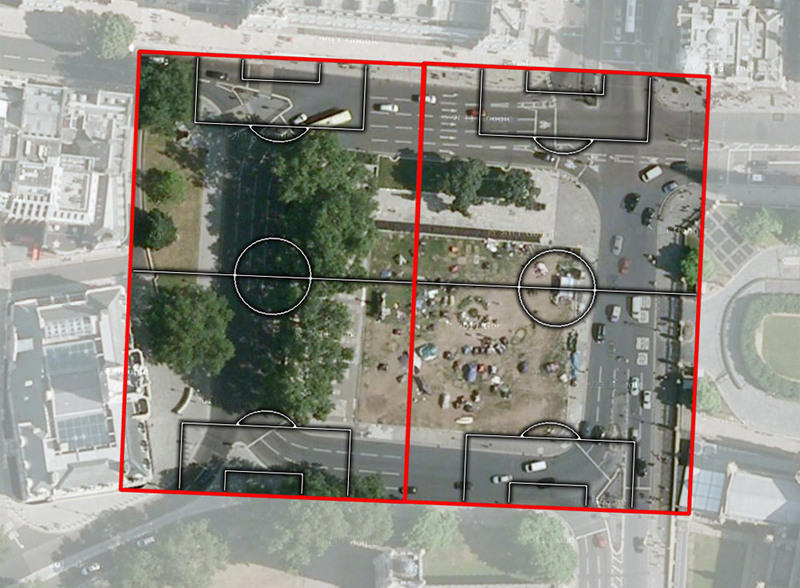 Parliament Square, London. I find it amazing that you could fit TWO full-sized football pitches in here! Holborn Circus, London. A notoriously dangerous junction which is currently undergoing redevelopment (though the redesign looks pretty crap to me). 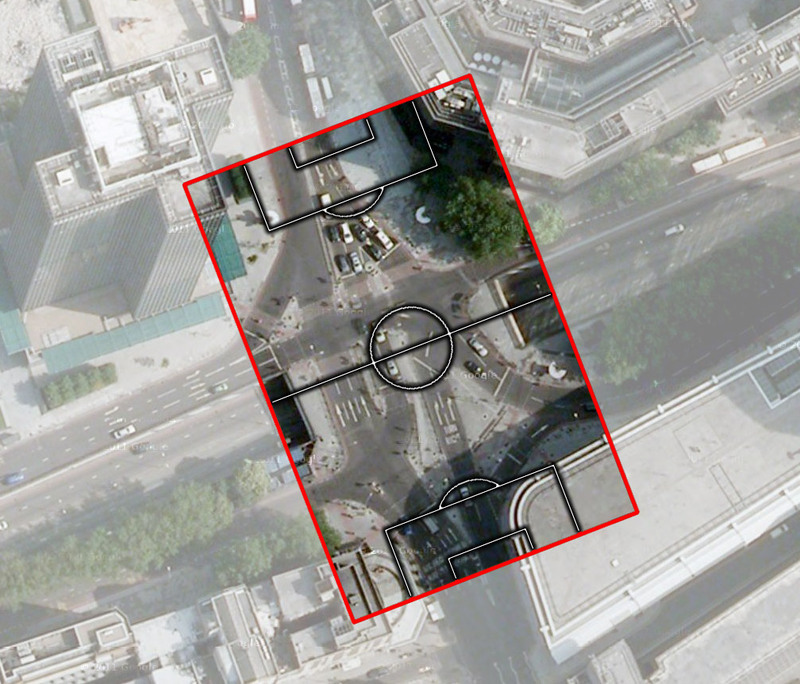 Junction of Euston Road and Tottenham Court Road, London. Still called Euston Circus despite being bulldozed through in the 1960s or 70s, this area is currently subject to road-works where the car will remain king. Tollcross, Edinburgh. 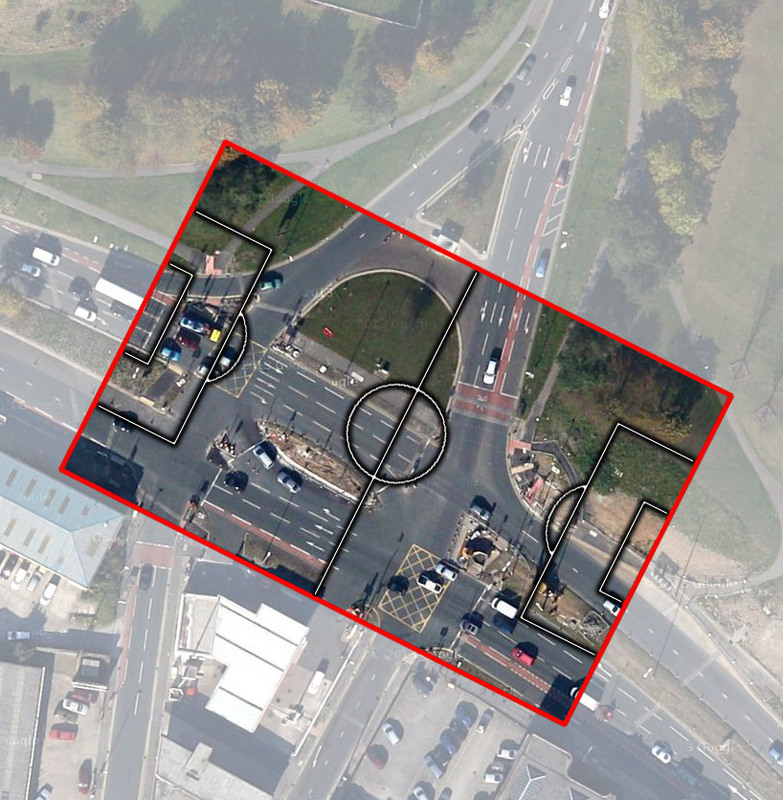 A junction which I hate, it’s some sort of 1960s town planner’s dream scheme. Awful to walk across, takes ages waiting at the many arms of this junction. I’ve never cycled there but I can’t imagine it’s much fun. Kirkstall Road and Willow Road, Leeds. Recently remodelled, this area offers “provision for cyclists to use the new bus lane and enjoy a safer and easier ride“, as if that’s going to get people cycling. Duuuhhh, try again, Leeds City Council! Hyde Park Corner, London. I know the island takes up much of this, but the fact that you can easily fit THREE full-sized football pitches in the area tells us that there’s literally room for improvement here. Currently the subject of fierce debate, the southern end of Leith Walk in Edinburgh. Do you have any more suggestions of wide roads and junctions to try this on? Let me know in the comments and I might do a follow-up. All satellite images from Google Maps. Just 3 I can think of off the top of my head in Sheffield. Do we have less space than London up in Sheffield? 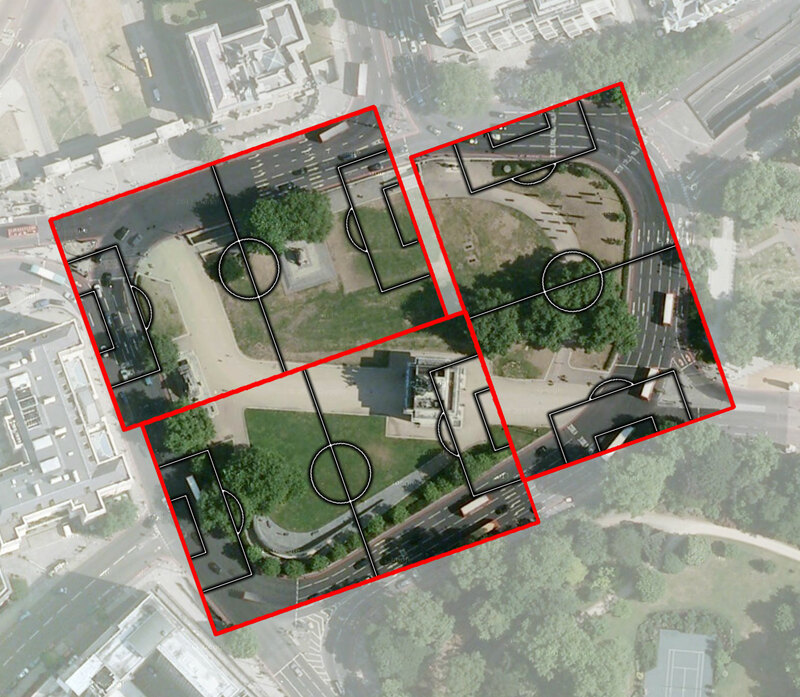 Parliament Square and Hyde Park Corner should be important public spaces for London – we need to get the team that did Trafalgar Square our of retirement! Ha!Ha!Ha! Imaginative. I suppose that if you were a tornado/hurricane chaser and came to the UK you could do worse than “chase the junctions”! It might be a good deal more dangerous. My closest call was on the corner of Parliament square and Whitehall, under a bus. One woman was killed there after doing brass rubbings in the abbey, and considering the intense thought that goes on in all corners of the Square, if you work near it, take your time to relax from thought before you get on your bike. You may think that cycling is relaxation from thought but, with a sudden change from one to the other it most certainly is not. actually tollcross is far better to cycle than as a pedestrian. it’s the streets leading to it that are terrible for cyclists. Another nice action is to take pictures after a light snowfall, and this reveals just how little of the tarmac surfaces is actually needed for moving the trafffic around. Taking out parking bays as well and you’ll have over 50% of most urban carriageways which can be dispensed with, dug-up, and planted with useful growing things which help to regulate the climate, cool things down on hot days, absorb CO2, NO2, and filter out particulates. Since there is only a requirement to maintain roads for moving traffic than the clear evidence from the snow-test indicates that we might halve the amount of road surfaces which need to be repaired, potentially slashing the repairs bill for urban roads. Oh and we can remind Councils that the law prohibits them from making a profit from use of the use of the land on which the road sits ie selling this as car parking (as in many cases the road sits on land which does not belong to the local council). The law does however provide the covering condition that the council can charges to cover the costs for managing on street parking and related activity. SImplest solution could be to maintain only roads for moving traffic and return any road area not required for this to the owner of the land or for uses such as green space, mini parks etc. 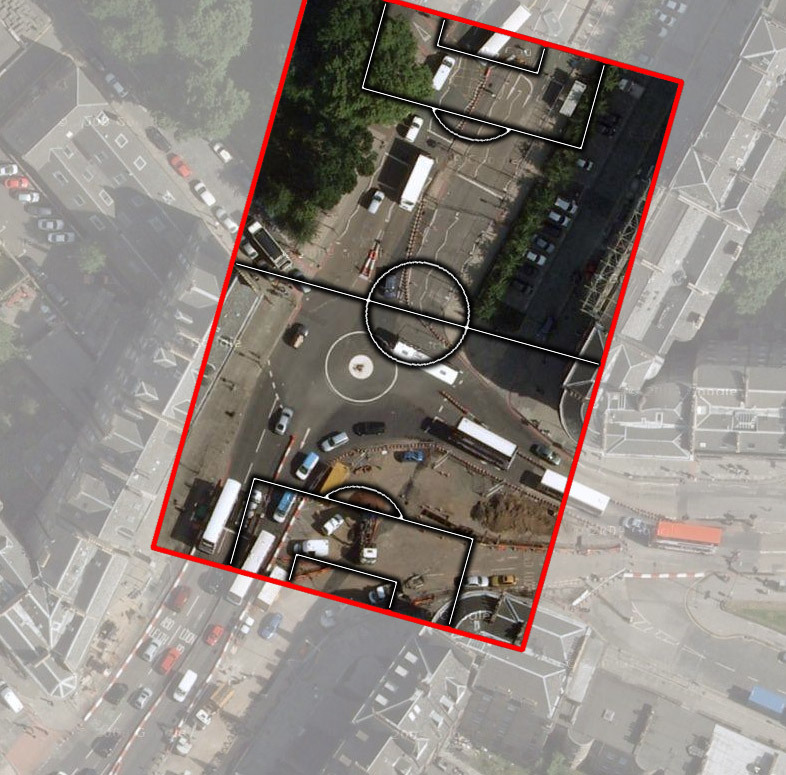 Parking would then be entirely priced and supplied through means that more directly reflected the true market value relative to the land available and its earning potential from various uses, Boy could that deliver some interesting changes. . 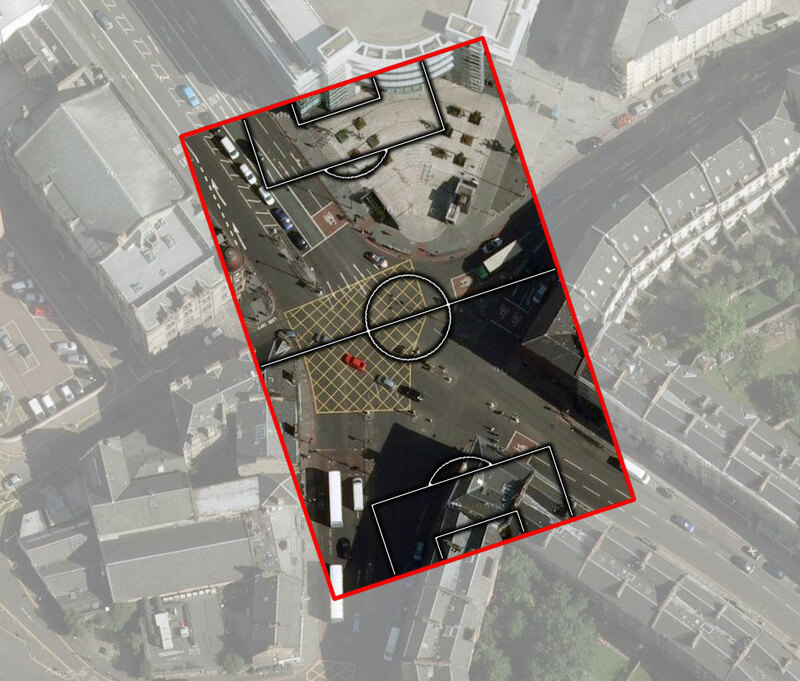 The Tollcross junction is horrendous for both pedestrians and cyclists, there is no regard given to the needs of vulnerable road users, nor are there any plans to change the layout. Some harden vehicular cyclist in body armour might not find it a problem, but most normal people will try their best to avoid it. 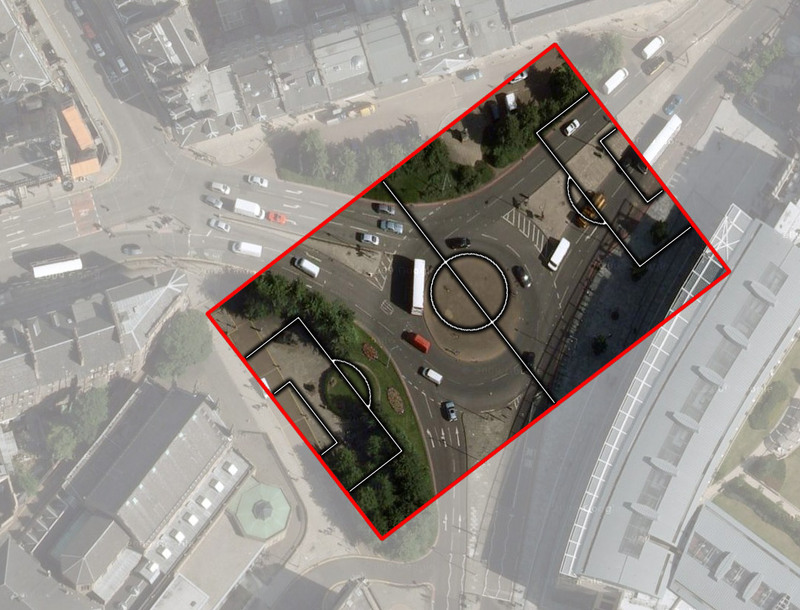 With Picardy Place, there are at least some plans to upgrade the junction (all be it heavily flawed one) and there is an on going campaign to make it more “continental” in nature.